Na’amat’s objectives include: developing projects and programs which respond to the needs of disadvantaged women and children in the community; and fundraising to support the vast network of social services and educational facilities Na’amat has developed and maintains for needy women, youth and children of all religious and ethnicities. 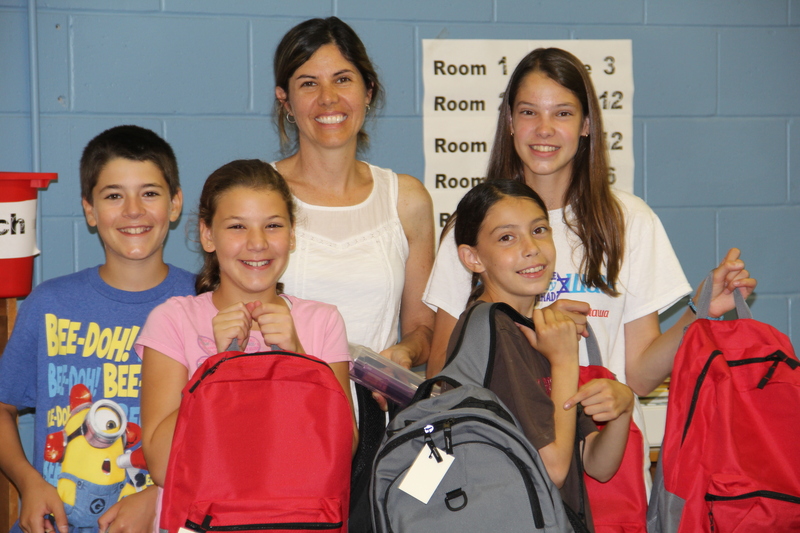 Their School Supplies for Kids project provides the children living in seven local area women’s domestic violence shelters with backpacks full of school supplies at the start of the school year each August. Typically, battered women arrive at shelters with little or no money and with few or no personal possessions. They have little or no access to financial resources and therefore struggle to provide all of the necessities that their children require for school. Not only do the schools send home lists of supplies required for each grade, but the mothers must worry about providing their children with shoes, warm coats and a whole host of other clothing and items. Na’amat Ottawa’s project fills an unmet need. According to the shelters, only their project provides school supplies to the children under their care and the mothers in the shelters need help equipping their children for school. They do not have the financial resources to meet the school’s requests for even the most basic supplies such as pencils and notebooks. The project is run by Na’amat volunteers who solicit companies and individuals for donations and supplies. They help sort and keep track of the received goods and determine what else is needed, as well as carry out the public relations side of the project to inform the public and thank the donors. Distribution of the packages is a discreet process so that the location of the shelters is never placed in jeopardy. Na’amat volunteers make arrangements in August with each shelter and deliver the packages to various designated locations.